Climate change, caused by industrialized rich countries, is responsible for this disaster. Chapter fifteen from volume one of Ernest Tate’s memoir, Revolutionary Activism in the 1950s and 1960s. My mission to Venezuela in Nov/Dec 2017 was the first by a UN rapporteur in 21 years. The massacre of at least 49 people – in and just outside two mosques in Christchurch – is a horror that has shocked much of the country. 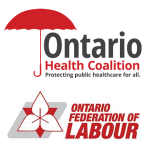 The Ontario Federation of Labour vowed to use its million-member might to work with the Ontario Health Coalition to safeguard public healthcare. Since its inception in the mid-19th century, the revolutionary workers’ movement has sought to build an international movement to promote and coordinate the worldwide struggle for socialism and liberation. I may be betraying my age, but the past six months in Ontario have felt an awful lot like déjà vu. IWD: And still, It is Moving! 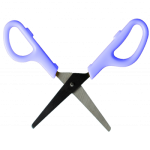 From women’s history we know that it is the weakest first that are affected by social distortions. The International Women’s Strike is part of a transnational feminist wave, and women around the globe are fighting against reactionary political forces and standing up for the most oppressed and exploited. Film and Discussion on Cooperatives with Sam Gindin and Hazel Corcoran, March 7 at OISE. The decision to form the Communist International. The centuries-old cult of violent misogyny.